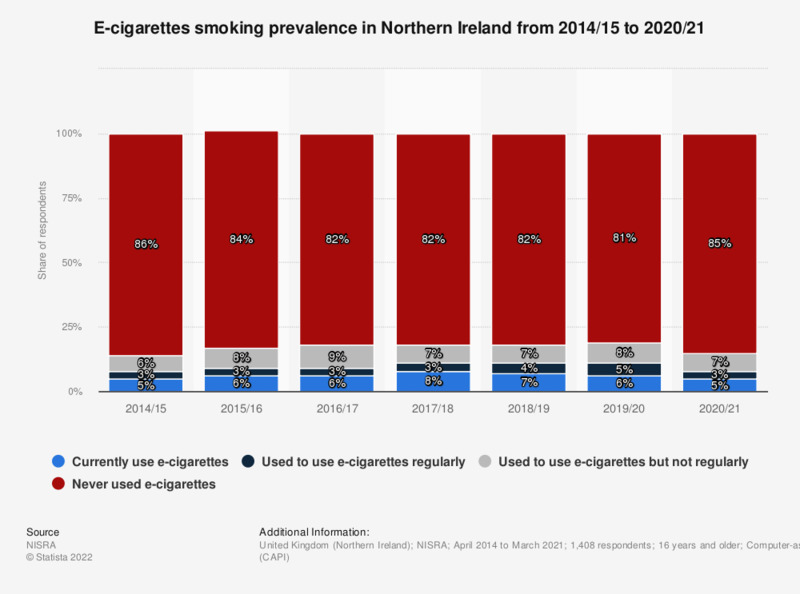 This statistic displays the prevalence of e-cigarettes smoking in Northern Ireland in the period 2014/15 to 2017/18. In 2017/18, the share of respondents who use e-cigarettes had risen to eight percent. Do you think electronic cigarettes are harmful or not to the health of those who use them? How often do you or did you use nicotine containing electronic cigarettes? How often do you or did you use nicotine free electronic cigarettes?